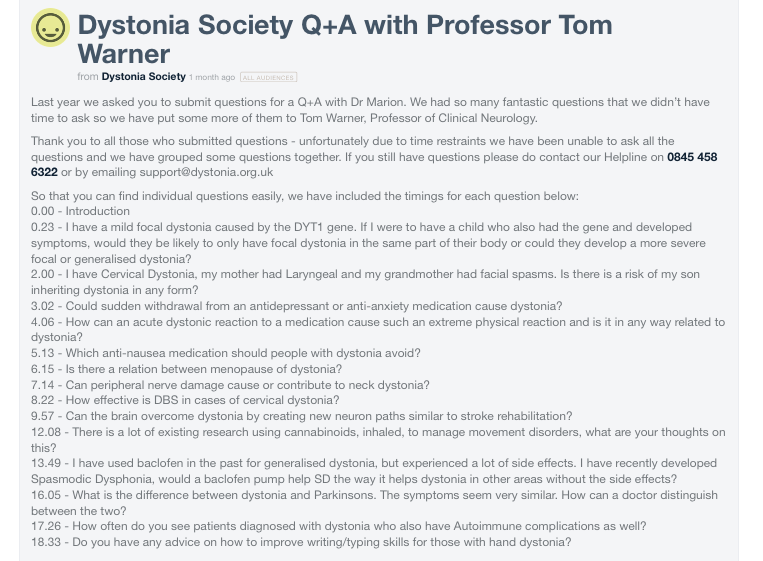 Here is a link to The Dystonia Society website, that has the link to Dr Tom Warner. He has very kindly answers lots of questions, and gives great answers in an understandable way. Here is the question list, and time points you will find them. I hope this will help some people who have some a Dystonia movements like myself, alongside our Functional Movement Disorder.